Saturday we had a very long walk planned for the half-marathon training walk: 12.8 miles. I got there having just had a few hours of sleep thanks to overnight tennis on TV (darn the time difference between the US and Australia). Once again, about 9 miles in, I felt like I’d had enough. The last bit had me miserable and grumpy. One of my fellow walkers said that I go out too fast. I don’t feel like I’m walking too fast at the start. The early pace is okay for shorter walks, but perhaps not the long ones. She’s going to try and help me pace better next weekend when I participate in the USA FIT Half Marathon. I’ll need to because if I walk in the Austin marathon like I did on Saturday, I won’t finish before the cut off time. It’s hard to feel as bad as I did at the end of this walk and not feel like I’m failing. I keep having to remind myself that 2 years ago, I had a hard time doing a 5K. Having problems walking 12.8 miles is a huge improvement. 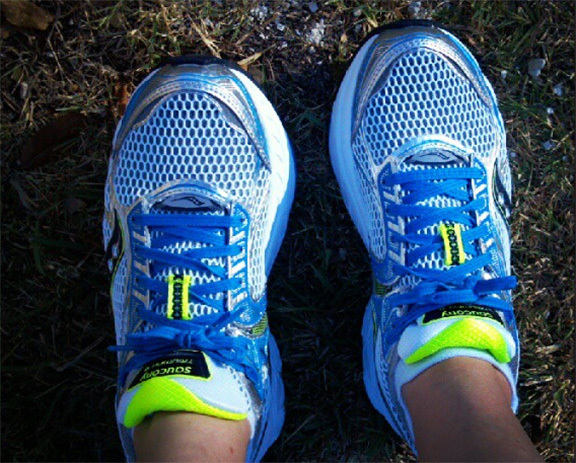 This entry was posted in Fighting the Limp and tagged in austin fit, half-marathon, walk.